After a long 5 hour meeting at SFU Surrey Campus regarding restaurants, it felt necessary for me to visit a restaurant myself. Being quite famished, I decided to make the trip to the restaurant as short as possible by going to PSI Sushi & Roll, a mere 5 minute walk away. PSI Sushi & Roll is quite a large Korean-run Japanese restaurant. It has a menu similar to Sushi Town with a few more choices and slightly higher prices for a small number of items. On the list of available nigiri sushi, there is an option to sear (torch) the nigiri for an extra 50 cents. This made me curious - I wanted to see what torched ikura (salmon roe) would taste like, but the waitress recommended against it, agreeing with my hypothesis that it could turn out very strange. 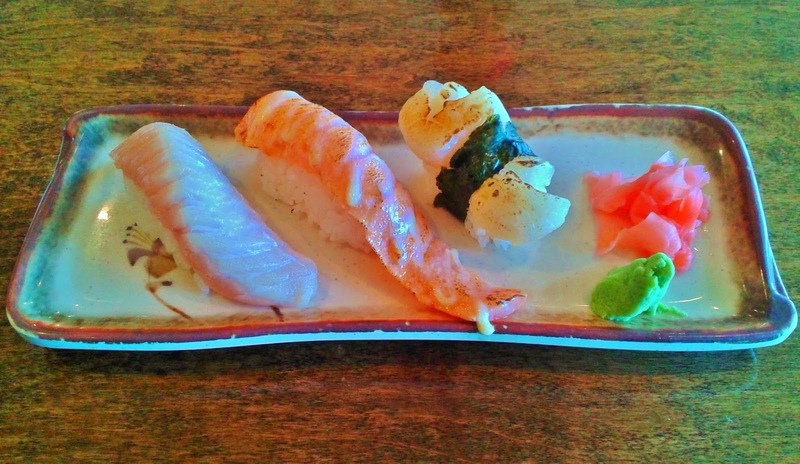 I ended up getting two other pieces of seared nigiri instead. When I'm presented with food arranged in a horizontal fashion, I tend to eat from right to left. The Seared Hotategai Nigiri was a little chewier and less jelly-like than the standard Hotategai Nigiri as a result of being seared. The searing of this piece of nigiri did not bring out the characteristic slightly charred taste of seared sushi and the only thing that was altered was the texture. The Seared Salmon Nigiri was much more successful and the mayonnaise enhanced the charred taste even further. The salmon also retained its marbly, smooth texture which is a plus. The Toro Nigiri was a cool, refreshing finish to my plate of nigiri sushi and went surprisingly well with the soy sauce, even though the soy sauce itself was nothing special. 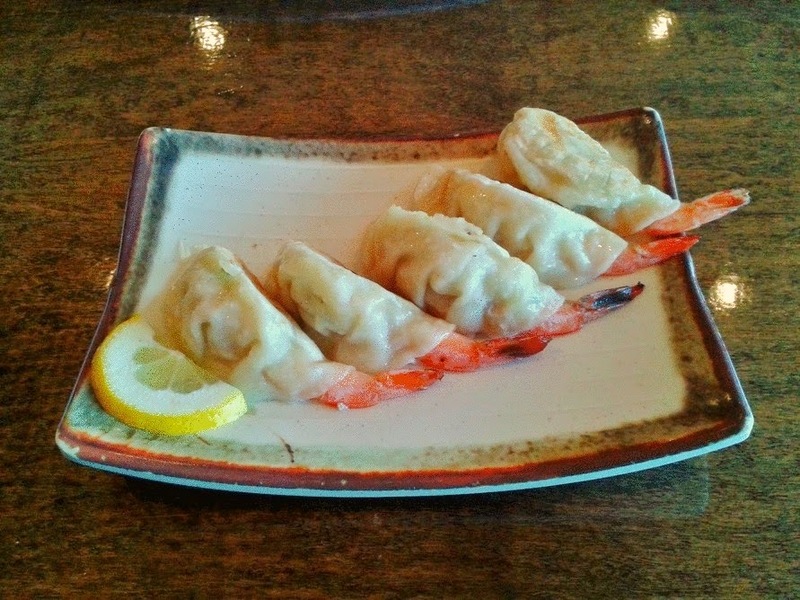 The Ebi Gyoza lacked crispiness, but wasn't exactly mushy either. It was as if the gyoza were meant to go in a soup. The shrimp was well balanced with the filling, which included tiny bits of lettuce, carrots, and mushrooms among other things. The dipping sauce provided with this dish was a weak soy sauce mixed with vinegar, which did a good job of not overpowering the roll. The Double Dragon Roll was supposed to come with avocado, cucumber and unagi inside and masago, mayonnaise, unagi and avocado on the outside. I was a little disappointed to see both the mayonnaise and the unagi inside the roll missing. It was no Double Dragon Roll, it was just a Dragon Roll. The roll itself was not bad, consisting of a creamy, sweet interior from the large amount of avocado used to stuff the roll instead of the unagi as promised. Owing to a lack of sauce, the roll was rather dry. On the other hand, I enjoyed the combination of green onions and masago. 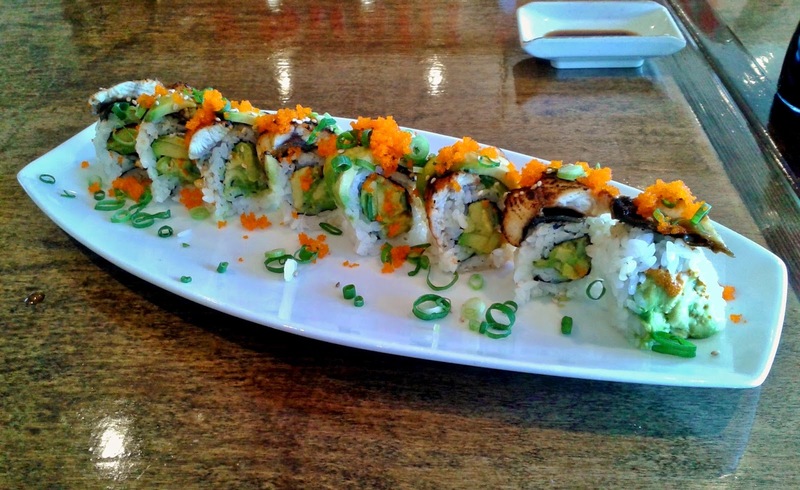 I would suggest that you order this roll only if you love avocado, because you will certainly be eating quite a bit of avocado with this roll. The Chicken Teriyaki Roll was cut surprisingly evenly and served warm, which made sense because chicken teriyaki is supposed to be warm. Again, this roll was missing the mayonnaise stated in the menu (although I would have no complaints if it wasn't in the menu in the first place). There was a hint of crispiness with the chicken and the edges of the chicken near the crispy parts were too tough, which made the uneven texture of the chicken stand out. On the upside, most of the chicken was tender and the use of teriyaki sauce prevented this roll from being too dry. 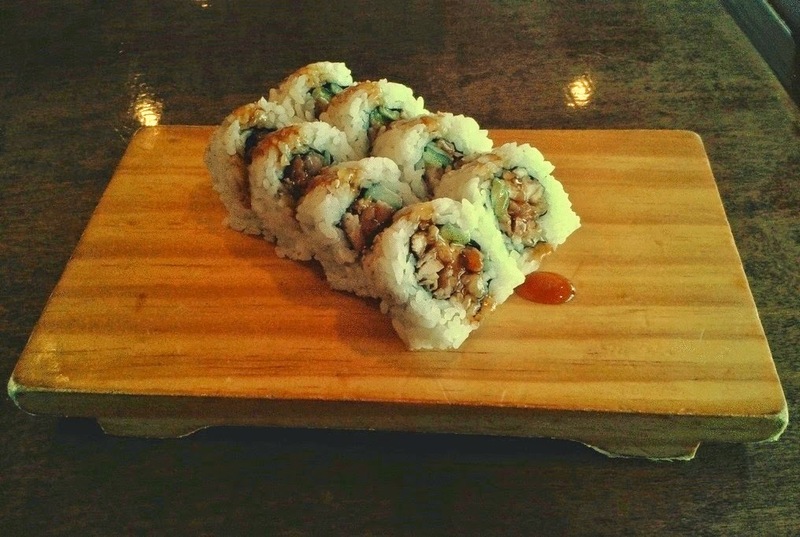 PSI Sushi & Roll is a solid place for budget eats with a commendable variety of items. Freshness and some attention to details were both present. However, the Double Dragon Roll was an unfortunate mishap and I ended up being billed for a Double Dragon Roll while receiving a Dragon Roll. Overall, there were some hits and misses with today's meal, but the seared nigiri is good enough to make me return to this restaurant and keep it on my list of favourites for now.